Is Acupuncture Part Of Your Treatment Plan? 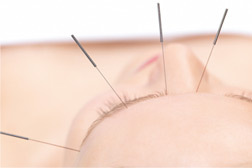 In the Far East, acupuncture has been used as a very effective treatment for a multitude of conditions for centuries. On the other hand, traditional Western medicine has maintained its focus on eliminating symptoms one at a time. At Southwest Integrative Medicine, we do things differently. We address your immediate concerns and we look at the bigger picture to help you improve your overall wellness. Our naturopathic doctors have extensive training and experience with acupuncture and include it frequently in their naturally-focused treatment plans. Acupuncture does not have the same cause and effect response you expect when taking medication. Instead, it works within your body's natural rhythms and responses to create balance and improve your ability to heal. Some ways in which acupuncture does this is by enhancing the effectiveness of your immune, endocrine, vascular, and nervous systems to work. Unlike many practitioners who use acupuncture with minimal training, the doctors at Southwest Integrative Medicine have spent more than 1,500 hours in intensive training completely focused on acupuncture. During an acupuncture treatment, very fine, sterile stainless-steel needles are precisely placed in the skin in locations that relate to your condition. Your phoenix acupuncturist will determine the areas to place the needles based on the pattern of energy imbalance. The objective of treatment is to allow your body’s channels of energy to become balanced and free flowing. Acupuncturists refer to the channels through which the energy flows are as Meridians and the energy itself as Qi (pronounced chee). Through removing imbalance and blocked energy the acupuncture doctor can significantly reduce many types of pain, diminishing the effects of stress, anxiety and improve the outcome of many health conditions. We would like to help you explore how acupuncture can help boost your overall well being. Whether you are seeking relief from existing conditions – chronic or acute – or wanting to maximize the effectiveness of your body’s natural defenses for disease prevention, our Phoenix acupuncture doctors are here to help. Get details on insurance coverage and costs. How acupuncture works for your specific condition.